Psychological Operations or PSYOP are planned operations to convey selected information and indicators to audiences to influence their emotions, motives, objective reasoning, and ultimately the behavior of organizations, groups, and individuals. The beginning of interest in post-Cold War information operations can be traced to the UN intervention in Somalia and the Rwanda Genocide. Relatively honest and direct reporting from these war zones meant that the public opinion of Western countries was a factor that had to be considered by the political classes. Hence the complaining at the time about the so-called “CNN Effect” which forced the politicians to send and/or withdraw troops irrespective of what the elites actually wanted to happen at the time. The early methods of influencing the public opinion by manipulating the media, though reasonably effective, were not enough. We have seen their strengths and limitations during both wars against Iraq, in which the bulk of the media was effectively co-opted through the process of frequent press briefings (featuring no shortage of videos showing NATO bombs unerringly falling toward their obviously evil targets) and later by “embedding” the mostly male reporters in military units, which naturally had the dual effect of stroking their egos and adopting the military’s point of view. These reports invariably represent a point of view that is not only completely one-sided, but also factually wrong, even on the most basic of issues. How did US and NATO manage to achieve such an amazing discipline within the supposedly free and independent Western media? disseminating propaganda through covert means. The first two are obvious enough and have long been practiced. Media corporations are just that–corporations, subject to variety of laws and regulations whose enforcement can be used to steer individual outlets toward adopting a desired point of view. Individual reporter’s coin of the realm is “access” to privileged information, which may be granted or withheld depending on their effectiveness as government propagandist. The third, the covert dissemination of propaganda, is new, and that factor likely explains the lack of variation from one media outlet to the next. The media are no longer merely encouraged to toe the official line–they have the stories planted for them to pick up through social media and other unofficial channels. The so-called investigations of the MH17 disaster is a case study, though a fairly crude one due to Ukraine’s crude methods of information warfare. But it is evident that nearly all the “evidence” implicating Russia or the Novorossia insurgents was prepared by Ukrainian secret services, then laundered through social media, before being presented to Western audiences as the truth, the only truth, and nothing but the truth. 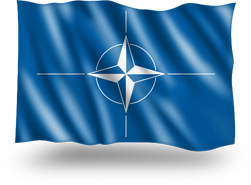 NATO is conducting similar operations which are harder to identify and counter because they are more sophisticated, better institutionalized, and provided with higher levels of funding. The United Kingdom, for example, maintains the 77th Brigade whose subunits include the Media Operations Group and the shadowy 15th Psychological Operations Group that has been dubbed the “Twitter detachment.” Germany has established the ZOpKomBw, or the Bundeswehr Rapid Communications Center. In the US, information operations against the US population appear to be the responsibility of the intelligence community, which is understandable considering the taboo on US military operations on US territory. As such, they remain largely out of public scrutiny, though their handiwork can be readily seen in the form of unverifiable reports from a variety of war zones, and even placing specially prepared “witnesses” in front of Congressional committees. Even non-NATO countries like Sweden are following suit by establishing their own information operations units intended for waging information war on its own population. At the NATO level, information operations are coordinated by NATO doctrine JP 13-3 Information Operations, with practical applications honed by alliance-wide exercises such as the Multinational Information Operations Experiment (MNIOE). Western voters have been accepting of all these measures because they were sold to them as part of their countries’ counter-terrorism measures. What they failed to take into account is that terrorism is a phenomenon that knows no borders, with the enemy already present among Western societies. Which means that, if counter-terrorist information operations are to be effective, they also have to be aimed at Western publics. In the short-term, information operations may be effective in manufacturing popular support for policies that otherwise no free society would accept. In the longer term, bypassing the public opinion means the elites are now more free than ever to embark on highly dangerous international adventures that will likely backfire and lower even further the already low standing of the elites. Therefore the fact that the so-called “free world” elites increasingly have to resort to such dirty tricks in order to stay in power means that their grasp on power is slowly weakening.